I learned about Playful Computer Writing, or rather Writing to Read as Mr. Trageton prefers to call his method, in 2009 when I was a PYP coordinator in Helsinki, Finland. I participated in a lecture and a workshop titled WRITING TO READ WITH DIGITAL TOOLS, but to my amazement I found an inquiry based method (based on Vygotsky!) that employs ICT as an integral tool for learning to read. It is currently being research by different Universities, read more here. I was very eager to start this at my school; Here is my first blog post about it. interesting, but they need to learn their basic skills first! In this blog post I’ll introduce a proposal, or more like a shift in the primary years learning paradigm, to make computers actually enhancing the students learning experience. I Also propose that learning and using computers as a learning tool is a basic skill, that should be started as the child begins his/hers schooling. Here is a description of how it can be done, quite easily I might add. The ramifications were awesome, not only were we able to fully incorporate this teaching and learning style, we were able to offer differentiated material in a class of 22 students! 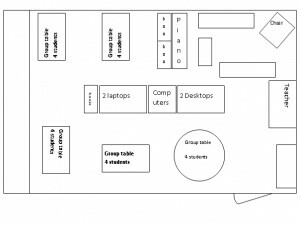 Ressu has a versatile learning environment. Our teaching and learning is based on IB`s PYP (Primary Years Programme), which relies on inquiry based learning. Adding the Trageton´s playful computer writing strategy into our existing learning environment was relatively easy. We were especially happy how writing to learn incorporates the inquiry learning cycle in one of the basic skills. Parents have responded eagerly and enthusiastically. Students have shown great improvement and will to learn through this strategy. Staff and administration at school are really interested in what is going on in the classroom. We have received a lot of support for day to day operations. Colleagues have been so impressed that they are implementing writing strategy in their own classrooms. The following were obtained for the project: two desktop computers (old) and two laptops (old), network printer, network router. The initial stages to start up the project went rather smoothly. Students were curious about the change in the classroom. 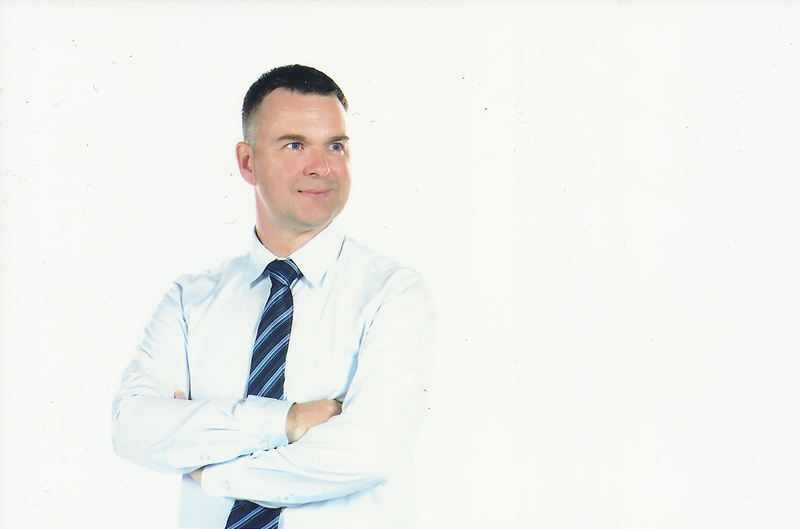 Teacher was able to concentrate solely on planning the day to day operations since the PYP Coordinator took care of the technological aspect. From the beginning we felt that it was really important for all the students to have a chance to work on the computer as many times as possible. 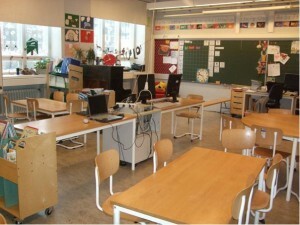 We ensured this by planning the days with different kinds of group activities which allowed students to break away with their computer writing partners during their days. The main challenge that we had was the fact that we had already started the reading practice with the traditional method. We ended up having two competing strategies running throughout the first grade. We are quite confident that implementing only this strategy is sufficient to ensure grade level appropriate writing and reading skills. There is still some planning to be done to ensure integration into PYP units of inquiry. In the beginning of the school year two thirds of the students were already reading. By the time we started the project we had already covered half of the alphabet with the traditional method. Therefore we did not do the letter test. Majority of the students have a computer at home, however the main function of that computer is entertainment. 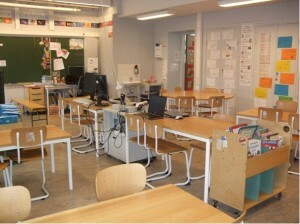 Students produce at least one Finnish writing per week and one English per month. I have found this project challenging both for myself and the students. This has been a way to guide students´ learning according to their needs. Those students who already could read and even write a little bit have had a chance to go further by writing longer texts and stories while the others have been practicing basic skills. This project has also given me a chance to give more feedback and some personal time for every student. Grade 1 has benefitted more than they bargained for. 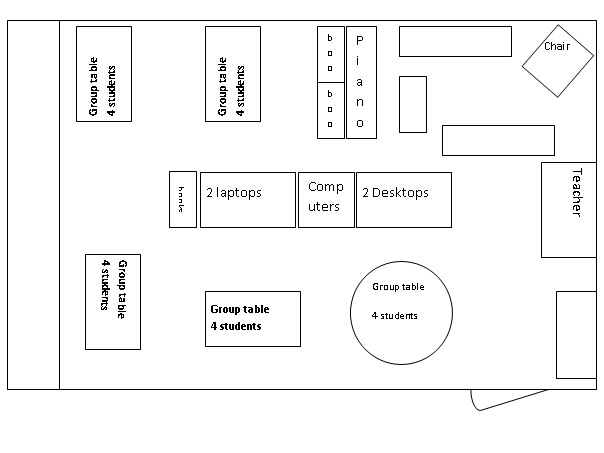 The class layout has generated a positive learning environment where inquiry based learning occurs naturally. I intend to spread this strategy throughout the PYP. One of the students has moderate learning disability effecting his writing and reading. Implementing this strategy with him has been fruitful.